Hi I’m Baloo. 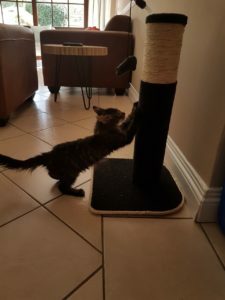 My new family is so awesome they even bought me a new scratching pole. Here I am attempting to do my daily exercise before I take a nap in the sunshine. Baloo doing her new pole dance routine!